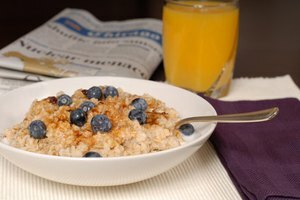 Steel cut oats are a less processed oat product than rolled or instant oats. 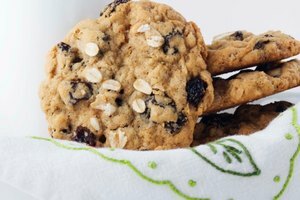 Created from whole grain oats that have been cut rather that flattened, the texture is often much more firm than rolled oats, and the cooking time is also longer. Because they are minimally processed, they have a lower glycemic index than instant oatmeal. 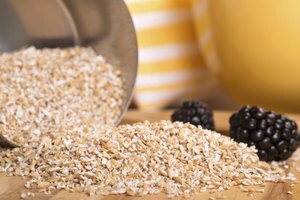 These oats are also high in protein, making them a favorite choice for dieters, bodybuilders, or moms creating their own baby food at home. By grinding the oats, they cook faster and can be mixed into other foods, such as protein shakes. Fill your spice mill or coffee grinder halfway with steel cut oats and close the lid. Pulse the grinder for 10 seconds and check the consistency of the grind. Pulse again at 5-second intervals, stopping when the oats have been reduced to a fine powder. Empty the contents of the grinder into an airtight canister or container and seal the container. 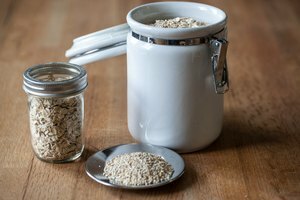 Because grinding changes the shelf life of the steel cut oats, use within one month. Stir the ground oat powder into protein shakes for an extra boost of protein and energy, or cook with water or milk on the stovetop to make a porridge. 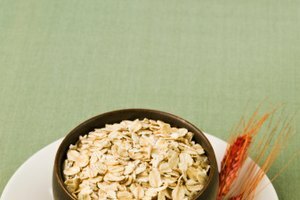 Homemade Baby Food Recipes: Know Your Oats!